Half the nursing directors in the UK have been in post less than three years, latest research by Nursing Standard shows. It’s a not-unfamiliar finding, since the turnover rate in these senior nursing roles has not improved for years. But it’s a statistic that workforce experts say is worrying, warning rapid turnover in these roles affects the management of complex health services and, ultimately, is not good for patients. Our investigation also suggests there is significant movement across chief nurse posts in the UK. Only around 22% (55) of the UK’s chief nurses have been in post for five years or more. The analysis of 221 trusts in England, 15 health boards in Scotland, seven health boards in Wales and five health and social care trusts in Northern Ireland found that 128 chief nurses (51.6%) have taken up their posts in the past two years. Of this group, 70 (28%) have taken up their positions within the past year – this figure is up 11 percentage points on the previous year. Overall, the results reflect findings from previous years, meaning that turnover rates have not improved. ‘On this evidence it appears the turnover among nursing directors remains worryingly high,’ says RCN deputy director of nursing Stephanie Aiken. ‘Given that nurses make up the vast majority of the health workforce, an effective, well-led health and social care service depends on strong nurse leadership at a senior level. Workforce expert James Buchan, professor in the faculty of health and social sciences at Queen Margaret University, Edinburgh, is also concerned about stability in senior positions. He says: ‘The latest survey findings that more than half of current nursing directors are only two years in post are worrying. ‘It suggests a rapid turnover, which cannot be good for organisational stability or institutional memory. Cheshire and Wirral Partnership NHS Foundation Trust director of nursing, therapies and patient partnership Avril Devaney warns aspiring or new directors against feeling pressured to move on too quickly once in a role. Ms Devaney, who has been the organisation’s chief nurse since 2003, says: ‘In terms of longer tenure, I was advised when I first became a director that I should be looking to move on after five years or I would get “stale”. ‘In reality, it took me this long to fully understand our organisation and the communities we serve. Only around 2.8% of the UK’s directors of nursing are from black and minority ethnic (BME) backgrounds, Nursing Standard research shows, although one in five NHS staff overall are BME. According to WRES data, about a quarter of all BME staff in the nursing, health visiting and midwifery workforce are at band 5, but this proportion declines significantly as the pay grades increase. NHS Improvement (NHSI) is providing professional development support to aspiring nursing and midwifery leaders from a BME background, says its executive director of nursing Ruth May. It is developing a bespoke programme and sponsorship offer to address ‘the critical need for increased diversity’ in the senior levels of the nursing profession, she says. Dr May has said she will no longer sit on interview panels that do not include a BME member, in an effort to improve diversity. Since last December a framework devised by NHS England and NHSI has been in place to support the promotion of BME nurses and midwives into senior leadership positions. Ms Devaney, who was awarded an MBE in 2016 for her services to nursing for people with mental health problems, says: ‘There are more varied and relevant development opportunities for aspiring nursing directors now that should help ready people for the role and support them through the transition. ‘My advice to new directors of nursing would be to invest time in networks within and beyond the organisation you are working for. NHS Improvement (NHSI) executive director of nursing Ruth May says supporting nursing leaders is of ‘utmost importance’ and emphasised that her organisation had well-established development programmes in place to harness talent and nurture professional leadership. Dr May says: ‘Our support and improvement programme identifies and works with the next generation of nursing leaders. To date, two thirds of participants have gone on to become directors of nursing. ‘This programme provides best practice, peer support, mentoring and an appropriate level of challenge to ensure that nursing leaders are equipped to navigate the challenges and complexities of a first-time board position. Dr May says NHSI works with more experienced directors of nursing who can sometimes be called on to work in larger or more complex trusts as the need arises. Surrey and Sussex Healthcare NHS Trust chief nurse Jane Dickson, who has been in post since April, says it is hard to draw firm conclusions about people’s reasons for leaving nurse director roles. ‘What matters is whether we are really looking at turnover, which I think is quite healthy, or at attrition. It depends on where people go and why they are leaving, so if people do go on to other different organisations to be directors sitting on boards, that is healthy. NHS England chief nursing officer Jane Cummings is determined to retain senior nursing leaders, and says the NHS England-led Director of Nursing Talent Pipeline (DNTP) programme will help achieve that end. The programme involves the system-wide identification, development and deployment of talented people with the potential to take up a director of nursing role within the next one to three years. A DNTP cohort of 24 from London and the south began the programme on 11 September, while another cohort of 24 is planned for the Midlands and the north, to be run from Leeds. Professor Cummings says the focus will be on the importance of mentorship and access to coaching, preparation for system leadership, building confidence and ensuring that selected talent reflects diversity and is inclusive. 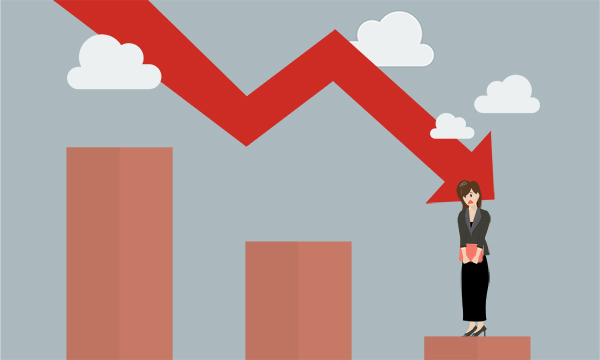 While there are a number of programmes in place to develop new nurse director talent, it appears more work is needed to understand the reasons why high turnover continues and whether this equates to attrition. Highlighting the positives experienced by those new to these roles could also be beneficial. After joining Surrey and Sussex Healthcare NHS Trust in 2016 as associate director for cancer and diagnostics and deputy chief operating officer, Jane Dickson undertook a senior leadership programme for aspiring directors. 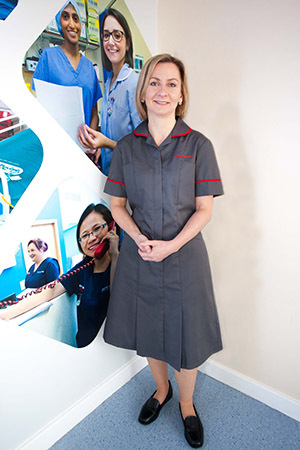 Now chief nurse, Ms Dickson is responsible for the 1,243 nurses and midwives and 217 allied health professionals at the trust, which has a total staff of 4,335. Ms Dickson, whose 30-year nursing career has included work in critical care, intensive care and organ donation and transplant, says the multidisciplinary working involved in these roles was good preparation for her first year in a board-level position. Ms Dickson says one of the biggest challenges for a new director of nursing in their first year on the job is that the nursing, midwifery and allied health professional workforce is normally the largest in an organisation. She recommends aspiring directors of nursing do something to prepare them for this responsibility. ‘That is either the NHS Improvement aspiring nurse director programme, or programmes that are for aspiring directors in healthcare.